While there are many, many amazing You Tubers around, these are two ladies that i discovered at the beginning of 2015 and haven't stopped watching them since. 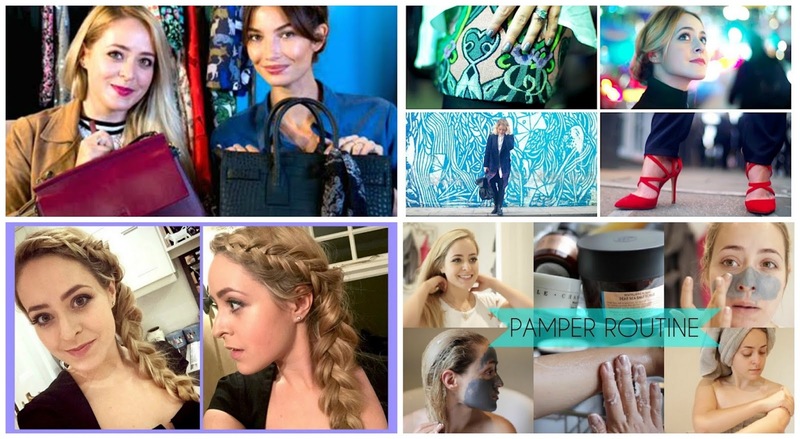 Both amazing bloggers and YouTuber's, mixing beauty with fashion and lifestyle but in their own individual way. I find having somewhere to look if i have beauty queries comforting, actually seeing how to apply the latest contour palette or the perfect new eyeshawdow shades, is the best way for me to learn. 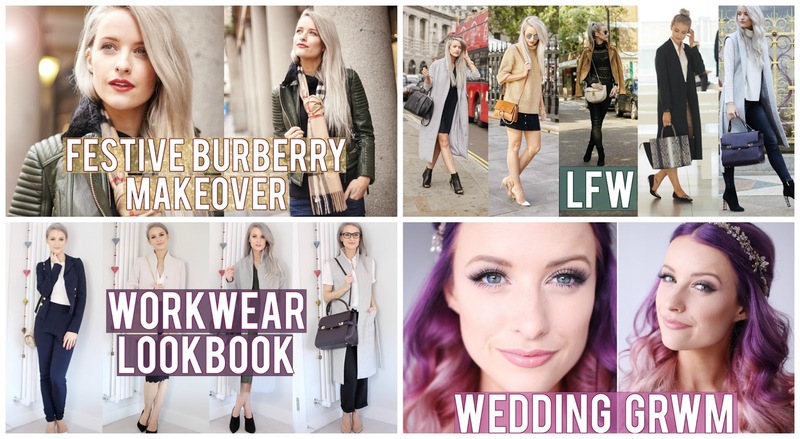 Victoria from Inthefrow.com has recently moved towards focusing on the higher end of the fashion and beauty market - featuring, reviewing and working with brands in the designer market, but also still loves to collaborate with favourites such as ASOS. Her videos are very polished like her, and she has managed to create a good balance between showing the designer brands but without coming across like a snob. She gives her viewers a glimpse into luxury that many cannot afford, as well as offering honest reviews on items, so if viewers do want to invest then they know what they are getting and if it is worth the cash. She has a great sense of style, which translates into her lookbook content beautifully as well as her amazing taste in makeup which makes her tutorials enjoyable as well as informative. My #1 favourite Youtuber, Fleur De Force offers viewers the perfect mix between high end designer and highstreet/drugstore affordable items, across both fashion & beauty. Her videos are amazing, very down to earth with honest reviews and a lot of personality. Fleur also operates two channels - her main one is focused on fashion, beauty and lifestyle whereas her second channel is dedicated to Vlogging her life. Whilst i love to watch both channels Fleurdevlog has to be my favourite, as in these videos we get to see her life - this includes her gorgoeus dogs and husband Mike (my hubby has a bit of a man crush on Mike, they even share the same birthday!). This mix of content means there is always something new to watch. What's in My Bag with LILY ALDRIDGE! / Winter in London Lookbook! / How To: Giant Messy Side Braid! / My Luxury Pamper Routine! If you haven't seen any of their videos yet (where have you been!) make sure to get a big cup of tea, snuggle up on the sofa and visit their YouTube channels....enjoy.